Fertilizer application is best done during the spring season. Spring is a good time to provide your lawn with much needed fertilizer supplement and weed control solutions because the weather is very conducive for nutrient absorption. Trees and shrubs also tend to lose a lot of their natural green color and their leaves during this season. Yes, this is the natural course of things, but this is also the signal to start bringing out those sacks of fertilizer out of the shed. Giving sufficient amounts of lawn fertilizer during the fall increases the chances of having greener and thicker lawn for the whole year. If you live in Texas It is recommended that you ask your local lawn care company to feed your lawn with good fertilizer during early spring. The key is choosing the right company to handle the job. Fertilizers are high in nitrogen and potassium, both of which are important for the recovery and nourishment of your lawn from the hot season. Always choose a slow-release fertilizer for your lawn. Slow-release fertilizers are generally more cost effective than ordinary fertilizers. They also lessen nitrogen seepage during the rain. Horticultural studies are now allotting much of their energy in formulating fertilizers that are less hazardous to the environment. When it comes to your trees and shrubs, always note that they need as much water as your lawn does. Water and fertilizers should always work together. The right proportion of fertilizer and water help in the proper propagation of roots in plants. In fact, root growth is quite active during the fall, even if you don’t see a lot of activity up top. 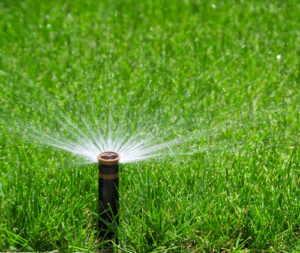 Water also helps control the concentration of weed killers you may have applied to your lawn. There are specific weeds that only grow during the colder seasons. Some of these are broad leaves, dandelions, and clovers. Weed killers can easily take care of this problem. Since these weeds are in the process of gathering nutrients and starches during autumn in preparation for the coming cold, applying weed killers to the soil would be like spoon feeding a bunch of hungry people their favorite dish. Absorption is quick and deadly. Contact Us for a free quote and options to illuminate your landscape. I did not know that the weather is more conducive for nutrients absorption during spring, which makes it an excellent time to fertilize your lawn. Since this is the case, you’d probably want to make sure you stock up beforehand so you’re prepared. 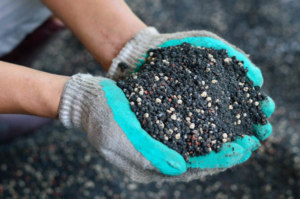 When you’re choosing the type of fertilizer, you’d probably want to look at what manufacturers are available, whether in your area or online, and look into the type of plants or soil their product works best on so you can make sure it’ll be the best choice for your lawn. Most do not know that spring is the best time, but it can make a big difference!